If interest rates have dropped by a percentage point or more since you got your first mortgage, refinancing could save you big bucks. And if you have enough equity so that your new mortgage is for less than 80% of your home’s value, you’ll be able to stop paying Private Mortgage Insurance (PMI), which will save you even more. Mortgage refinancing could also result in lower monthly payments, depending on factors such as: if any ‘points’ are paid to lower the interest rate on the new mortgage; how much cash is taken out at the time of refinancing; the duration of the new mortgage and whether the new mortgage is a fixed-rate, adjustable-rate or variable-rate loan. Even if you have ok credit and have to pay somewhat higher interest rates, mortgage refinancing will still cost less than other forms of borrowing because the loan is secured by your home. And if you use the money wisely, you can get out of credit trouble and raise your FICO score. This will qualify you for better rates in the future. Your FICO score is computed and tracked by the three major credit bureaus: Trans Union, Equifax and Experian. Your score is updated quarterly and is negatively affected by such things as: late or missed loan payments, filing for bankruptcy, having too much debt compared to your income, and credit card balances being too close to their limits. Credit card discipline – Reduce the number of cards in your wallet or purse to one. Take it out only when necessary and pay it off each month. 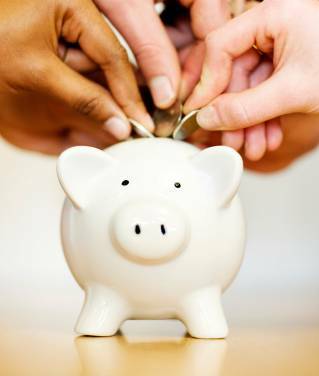 Credit union membership – If you aren’t already a member, join a credit union. They’re a good source of loans for purchases like a car or a home. Automatic savings – Have your bank automatically deposit a set amount from your paycheck into your savings account or retirement plan. Avoid credit repair scams – There’s nothing a credit repair company can do that you can’t do yourself with a little research and effort.